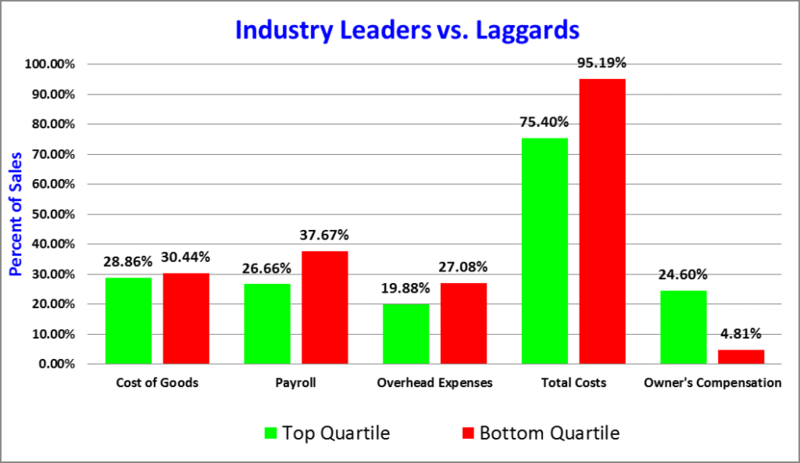 Yes, under normal circumstances, 31% for total payroll costs, assuming all other financial ratios for the company were typical and average for the industry, would be high, but not in this case. Based on additional data he provided, Bob (not his real name) told me they had just finished their best year ever in 2015 with sales of $1.6 million. “My manager earned $105,000 last year and he is very happy. He and his wife just bought a house, and their first child is on the way, and he couldn’t be happier. The rest of my employees are also being paid well above average wages, especially for this market area,” Bob added. Bob’s firm has an outstanding sales per employee (SPE) of approximately $185,000. That means Bob’s firm is producing $1.6 million in sales with 8.5 employees, and that of course includes Bob himself. Remember, SPE and the related calculation has nothing to do with payroll or pay scales. It is simply an indication of how many people (bodies) does it take to produce X sales. Some firms might utilize 13 to 15 employees to produce that $1.6 in sales, while Bob needs only 8.5 to produce his sales. If it sounds exceptional that 8.5 employees can produce $1.6 million in sales it is, at least to a certain extent, but then again so are Bob’s profits. 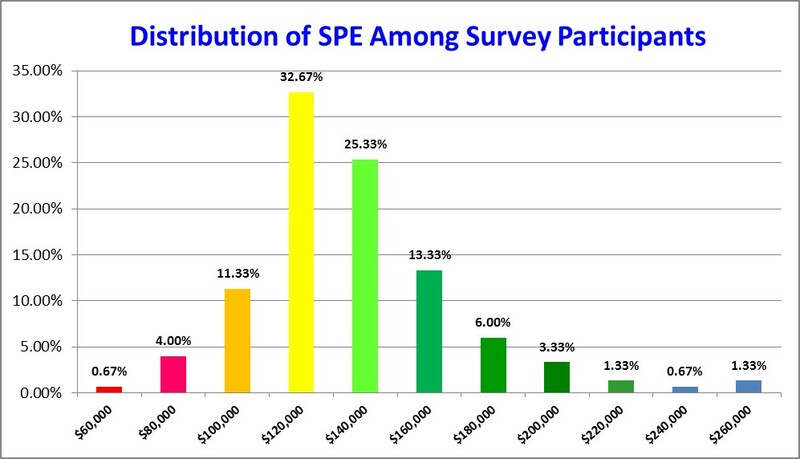 If you you’ve followed some of my previous columns written for Quick Printing Magazine between 1990 and 2012, as well as studied the various financial studies and reports I have published since, you will know that SPE’s of $160,000 to $200,000 are certainly achievable as the graph above depicts. Are these types of numbers easy to achieve, of course not, but they can nonetheless be reached. Bob’s firm charges significantly more for much of his work, and thus that drives down some of his ratios. He also strictly limits what is brokered out, preferring to keep as much work in-house as possible. When he does send something out, he typically triples his out-of-pocket expenses, producing a gross profit of approximately 66% as opposed to the 50% or less achieved by most firms. Most important and significant of all, much of Bob’s success stems directly from his team of employees who are, without exception, extremely productive and cross trained to the extreme. Because they are highly trained, Bob’s employees produce far more per employee than most firms his size. Although a payroll ratio of 31% would certainly catch my eye, I would never react negatively to such a number until I had a chance to review all the other key ratios. In this case, Bob’s firm would be the envy among most of his peers.